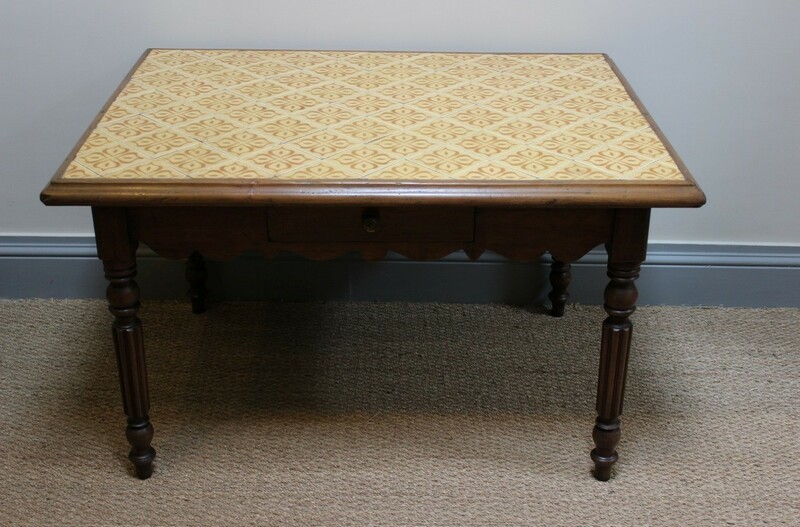 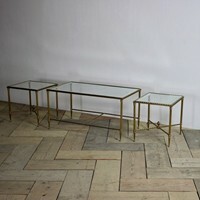 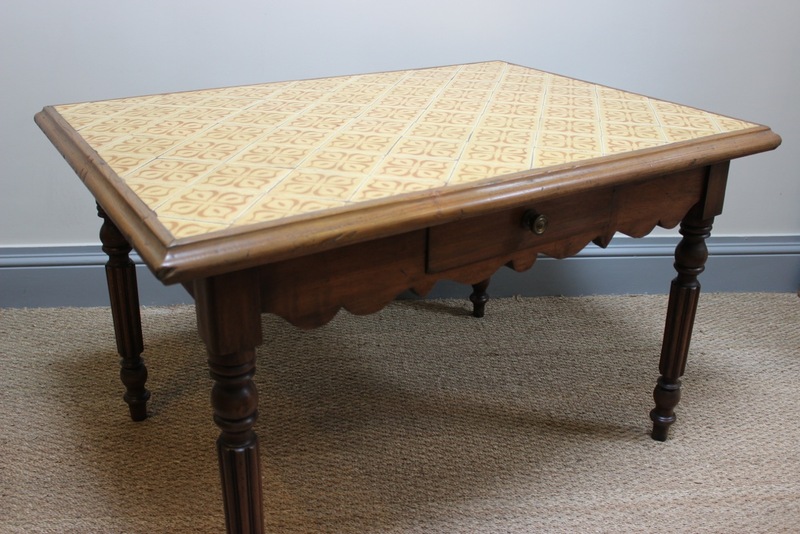 A 19th century French occasional table with a single drawer and geometric tiles. 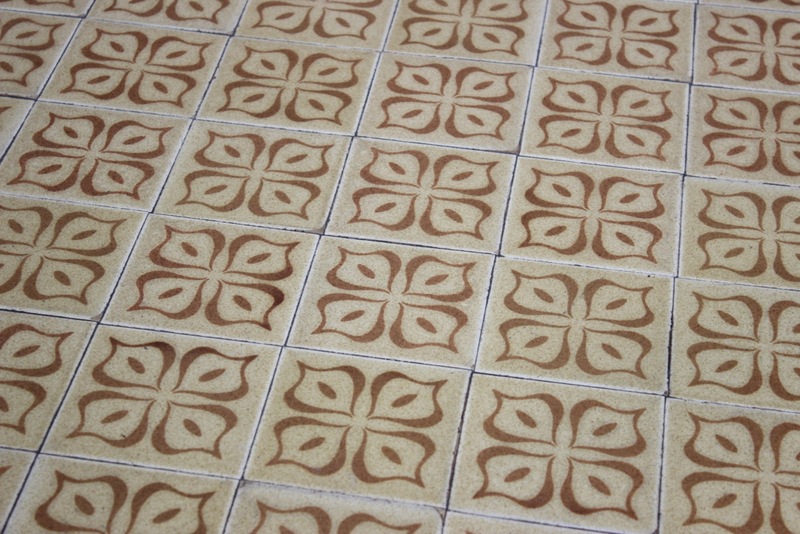 The tiles probably mid 20th century . 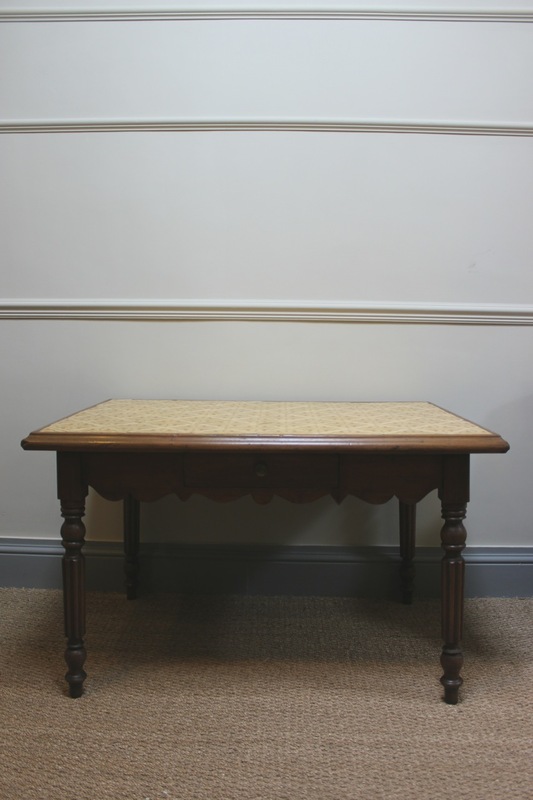 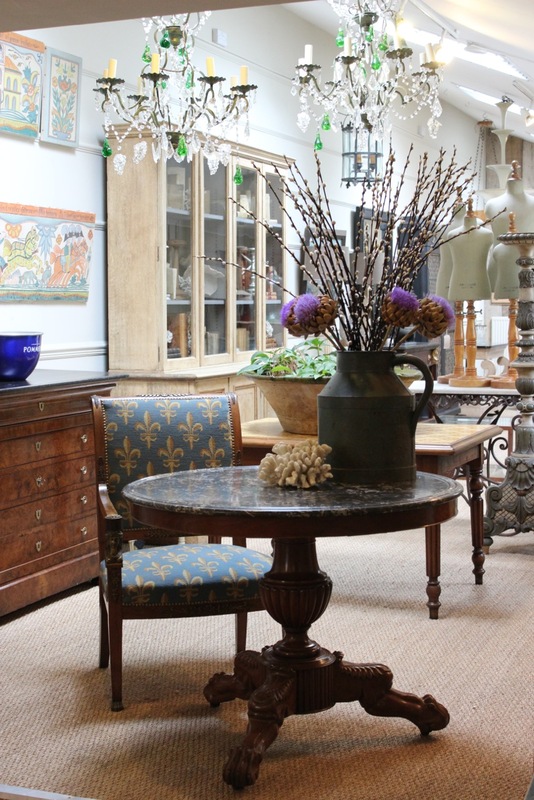 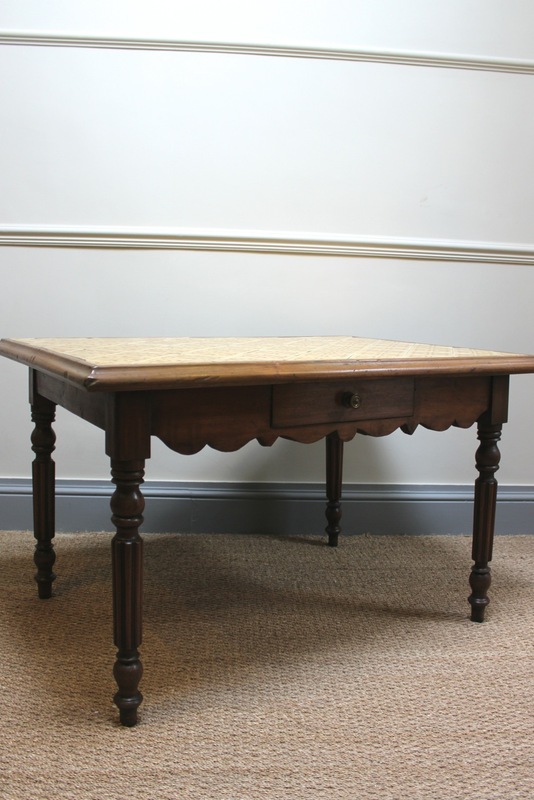 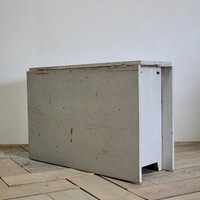 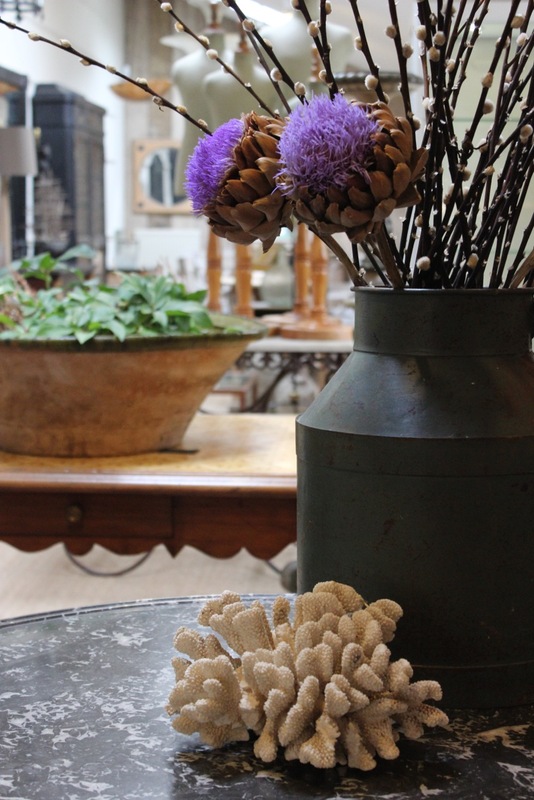 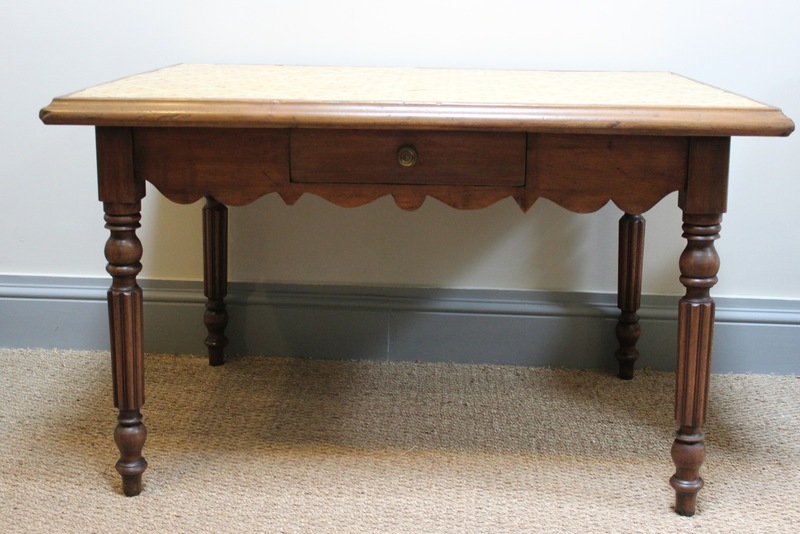 This rustic table will work well in an entrance hall as a console or in a kitchen.